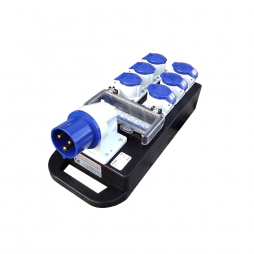 Single phase 32A distribution box with 6 x 16A sockets. 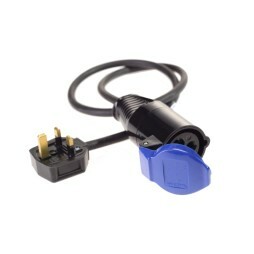 The 32A circuit is fitted with an RCBO and each individual 16A outlet is protected with an MCB. 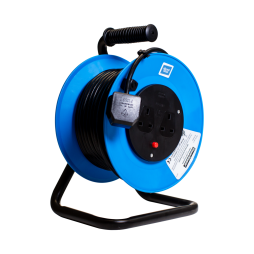 A heavy duty 25m 13A extension cable reel fitted with 2 x 13A outlet sockets. 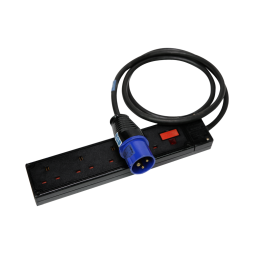 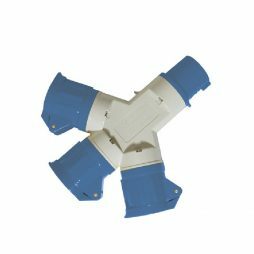 For powering 13A equipment with 16A cabling/distribution.